This entry was posted on May 1, 2017 by usblog. 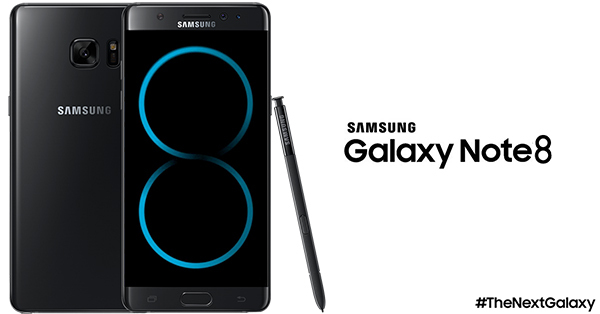 After the story of the explosive battery of Galaxy Note 7, the return of Notes 8 meets high expectations. The brand has not said any word and it wants to improve the image of the Note collection - great phones for better writing comfort. But what are the rumours about this new smartphone? Will the Samsung Galaxy Note 8 be able to overcome the battery scandal? Keep reading to find out! It looks like the Galaxy Note 8 will be the first smartphone with 4K resolution. Is it necessary? Well, not much for a normal use of the smartphone. But this feature is very useful if you use it with the Samsung Gear VR headset. This allows a high-quality vision. From Note 3, Samsung has always opted for a 5.7-inch screen. We believe this time, that Samsung will develop a larger 6.2-inch screen as it did for the Galaxy S8. There are also more futuristic voices that include a folding screen. It would be very convenient, but it honestly looks unlikely. This time, it seems that Note 8 will not have the integrated S Pen. Like Apple, we also believe the brand will opt for a home-screen shutter. The various menus and options will then activate depending on the pressure on the screen. It is very probable that the Galaxy Note 8 is the same as the Galaxy S8, with the fingerprint sensor at the back of the phone. This could reveal to be unpractical to use and it would be interesting to change this feature. We hope for improvements in the camera of the new Note 8. For example, there are many rumours about the dual lens camera and x3 zoom. The Samsung Galaxy Note 8 also offers a stabilizing capability and a better front camera. The Samsung Note 8 will have 6 GB of RAM. More memory also means more applications that can be opened simultaneously. We expect 840 Qualcomm Snapdragon chip for the United States and an Exynos 8895 for other countries. The pen will be essential for using the new Samsung. Also, you could have an integrated speaker to read the notes. The iris sensor and the Bixby virtual assistant will be available on the new smartphone. What are the major rumours about the Samsung Galaxy Note 8? This entry was posted in Samsung, Smartphones and tagged samsung galaxy note 8, new in, samsung galaxy, Samsung, Rumours, release on May 1, 2017 by usblog.